This item is not available for purchase online. Please call (703) 450-4667 to order. 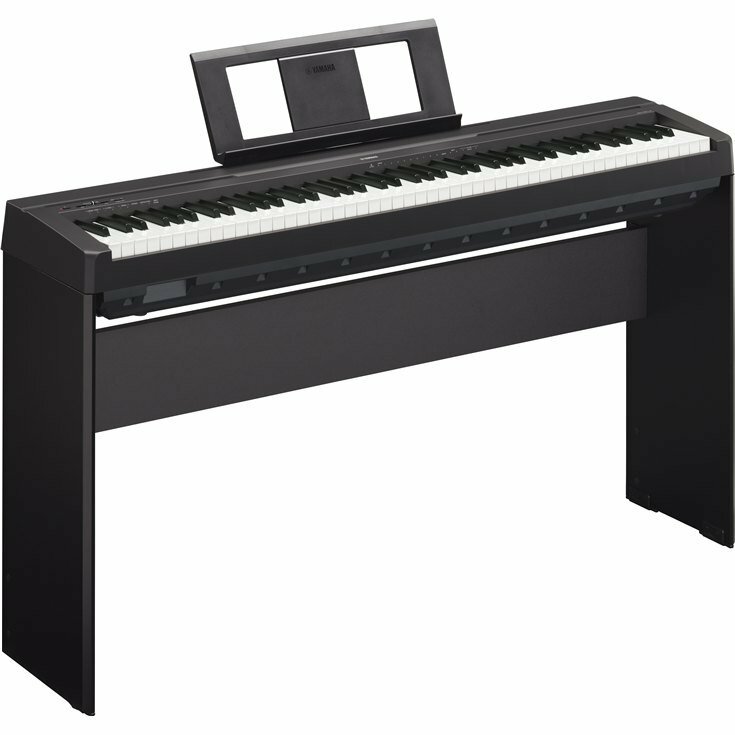 The most affordable digital piano from Yamaha. The authentic piano sound and key feel make it easy to play this simple model any way you like. Slim and stylish form with a depth of less than 12 inches, the P-45 requires little space. At only 25 lbs. with a built-in sound system, it can be easily moved anywhere in your home or even used for performance outside. Auto power off shuts down the instrument after a period of inactivity. You can customize how long it will wait before shutting down, or disable it if you prefer. Yamaha's GHS (Graded Hammer Standard) weighted action has heavier touch in the low end and lighter touch in the high end, just like the hammers inside an acoustic piano. Great for the aspiring pianist, practicing on the GHS action builds the proper finger technique for when the time comes to perform on an acoustic piano. Plus the matte finish of the black keys are less slippery when playing for extended periods of time.